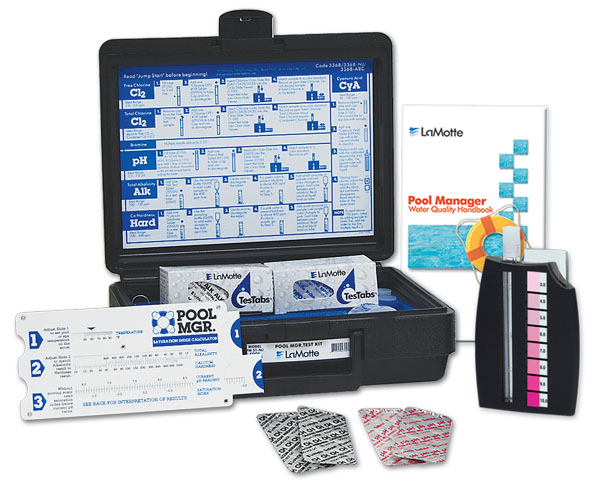 This kit is an all table test kit designed for public pool operators. The precise Octa-Slide Comparator System tests for free and total chlorine 0.5-10.0 p.p.m., pH 6.8-8.2, total alkalinity, calcium hardness, acid demand and cyanuric acid. Also includes diagrammed instructions, saturation index calculator water quality handbook and enough tablets for 50 tests (Cl and pH).